American Pharoah captured our hearts with a long-awaited Triple Crown victory on June 6. This feat was widely lauded, having been achieved only 11 times prior. 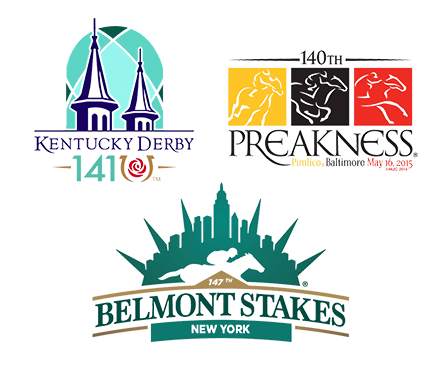 To achieve it, American Pharoah raced and won at The Kentucky Derby, The Preakness Stakes and the Belmont Stakes. While this esteemed prize is currently available only to three-year old thoroughbreds, it did remind me of creating great content marketing campaigns. Just what does content marketing have to do with a Triple Crown victory? Both share a predominance of threes. For one, you need to show up for the race all three times. Three times is also the charm for delivering what is known as Effective Frequency in near any campaign, the sage old advice of a minimum of three touch points to communicate effectively and start to nurture your audience. You need to tell your audience what it is, what it is about what you have, and why they want it. You need to show up well—meaning win—by delivering quality content every time. You will need to run in three (or more) races/venues using various content vehicles and media that will not only reach your audiences but will deliver to them what they deem to be relevant and valuable. Your audience needs to be nurtured, touched in multiple ways with your three or more messages. One win is great but it is not for the record books or a successful campaign. Content marketing excels when repurposed, or created anew, in a variety of formats, through various media, delivered by various messengers all while retaining its usefulness. Record book examples: Content Marketing Institute 75 Great Examples. You will realize a winning result when your campaign’s components work cohesively. The three or more touch points used in your campaign need to culminate in a greater whole than what could have been delivered by any one asset/race alone. Triple crowns demand synergy. The playing field just gets tougher every year for both racing and content marketing. Per this year’s just released 2015 B2B Buyer’s Survey, information sources used in researching a solution are ever evolving: When asked to rank the first three resources that informed them about a solution they were considering, respondents cited industry experts/ analysts (21%); peers/colleagues (20%); and web search (17%), according to the Buyer’s Survey. In addition, as the bar continues to rise on buying complexity with more stakeholders and committees influencing decisions, account-based marketing will likely become an imperative for many B2B-focused organizations. B2B buyers are expecting vendors to be able to speak directly to their industry and consider how the purchase of a solution will impact strategy and outcomes for all lines of business. Keep these three things in mind, and the odds of creating a winning content marketing campaign will be less daunting.